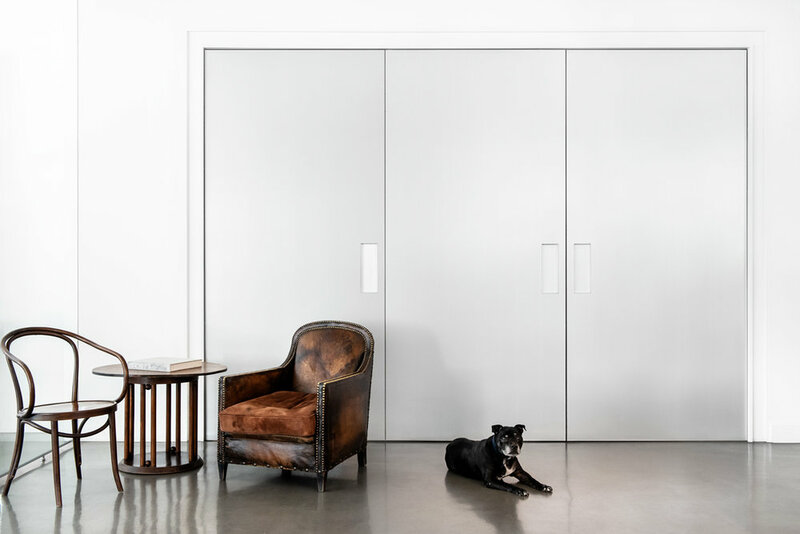 Maxi exudes an indefinable nonchalance, inadvertently commanding the studio he confidently inhabits. His heroic and wilful stubbornness has been tempered with a gentle and playful nature that has earned him the respect and admiration of all his colleagues. At 15 years of age, Maxi is no stranger to extended naps, enlivened with ‘melodic’ snores and post noon flatulence. 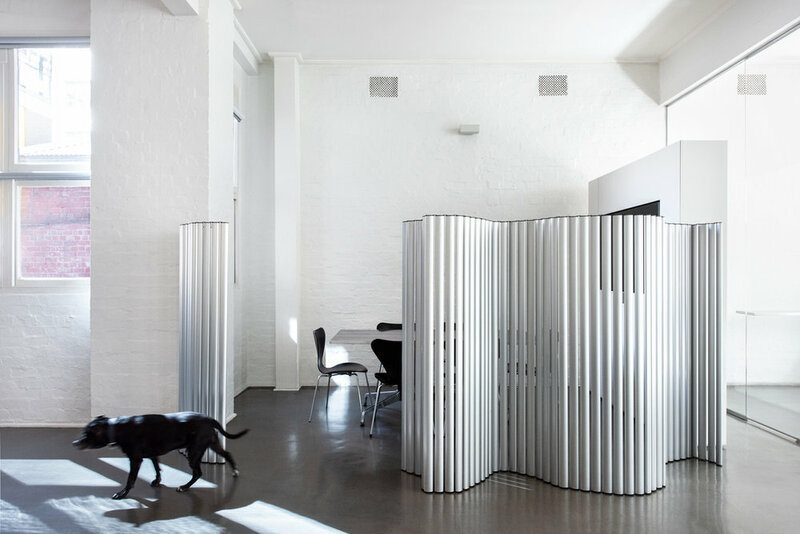 A white, canvas like open-plan studio filled with natural light and the soft buzz of designers busy at work. Curated music, art and furniture along with the reassuring hum of the coffee machine provides the perfect background for Maxi’s personality to shine. Maxi is the self-appointed custodian of the studio. Dutifully and with a twinkle in his eye he slowly treads a well-worn path around the office, checking in and making his presence known amongst the team. As a ‘lover not a fighter’ his amorous advances are unapologetically delivered as little nudges under the desk to unsuspecting colleagues who immediately reward him with a therapeutic back rub and if he’s lucky a tasty treat. Maxi is a combination of two names very dear to the Carr family, Alistair ‘Taxi’ Carr and Max Franklin. What is your dog’s favourite lounging spot? Like our studio, Maxi exhibits a focused, courageous and youthful energy that extends beyond the limits of time and space. He is at his happiest when he is surrounded by people doing what they love best. The odd treat also doesn’t go astray. If your dog said something about the studio, what would it be? No other dogs allowed! Woof. Maxi reminds us what it means to be human. He’s the ice breaker that helps connect the studio and the circuit breaker that eases the pressures of a working day. He doesn’t run on batteries, need to be plugged in or recharged – he’s just Maxi. We once attempted to introduce Maxi to a ‘Standard Poodle’ who was a special guest in the studio for the day. Despite our best efforts at encouraging them to play together over at Treasury Gardens, Maxi stood his ground and made it known he wouldn’t stand for such nonsense. Maxi doesn’t like to do what he’s told… that pretty much sums him up.